But sometimes, growing too quickly can actually be bad for business. Like many businesses that emerged in the heady dot-com era, Webvan tried to grow too big, too fast. With the funding that Webvan raised, it assembled an empire of technology-rich warehouses and fleets of delivery trucks and expanded aggressively into many cities around the US. However, it did this without first testing its plan and its assumptions about the market. So, while the company was spending money rapidly, online shoppers were not. At that time, the market was simply not ready for online grocery shopping, and ultimately this led to Webvan’s downfall. The takeaway? Too much funding and the quest for rapid growth lead to bad business decisions that destroyed Webvan. Another powerful example is that of Groupon in the US. For a short while, the online daily deals pioneer was the darling of the Web world. Groupon became the second-fastest firm, behind Youtube, to hit a $1bn valuation. In 2010, Groupon raised $135m from Digital Sky Technologies, plus a further $950m in venture capital funding, on the basis of an astronomical valuation of $6.4bn. And it didn’t stop there. Groupon went on to chalk up $1bn in sales in just over two years, giving it the title “the world’s fastest growing company ever”. However, it wasn’t long before cracks began to show. According to a 2011 report from Forrester Research, Groupon had become a case of “how fast an Internet darling can fall.” Groupon reported they hadn’t met their Q3/2012 revenue forecasts, causing their stocks to plummet. According to Bloomberg, Groupon lost an astounding 80% of its value since its IPO. Everyone from analysts and the media to investors, clients and users asked what went wrong. Much of the speculation centres around Groupon’s obsession with growth through customer acquisition, while neglecting customer retention. In simple terms, it needs to concentrate as much attention on helping Groupon-offering merchants keep their new customers, as it does in attracting those new customers. Sadly, many business owners who use Groupons have scant training or experience in customer retention. Yet, Groupon isn’t showing these businesses how to keep the customers that Groupon sends them. Groupon grew gigantic on the simple principle that, “We’ll put more people through your door than you know what to do with.” But what does this matter if these are one-time bargain-hunters who don’t return? Understandably, this dramatic customer attrition has negatively impacted merchants’ loyalty to Groupon. In a 2012 survey of 400 merchants, over 50% said they wouldn’t be running another Groupon deal anytime soon. And dissatisfied merchants tell others not to use Groupon. Just like Webvan, Groupon tried to grow too big too quickly and is paying the price. If Groupon doesn’t switch its focus on growth to one of helping their merchants keep customers, it could spell the end. Cash flow crunch. We’ve all heard the phrase “Cash is king.” And this becomes even more true during times of excessive growth. Even though sales may be climbing, if debtors are slow to pay, it won’t be long before monthly expenses overtake operating credit, and the business is forced to shut down. Studies indicate that the major reason fast-growing firms can flounder or fail is not falling demand for their offerings. Rather, they are unable to perform the many functions needed to sustain rapid expansion. When management cannot cope with the pace of growth, poor product quality, missed deadlines and reduced customer service are just a few of the symptoms. In the rush to push out your product as quickly as orders are coming in, quality may be compromised. Or if the business’ orders outgrow its capacity to fill those orders, customers could get their orders late or not at all. In an online business, growing too fast could over-run your site with downtime, spam, bugs and server problems. All in all, rapid growth can negatively impact your customer service levels. And unhappy customers will leave. Growing too fast for the resources of your business. Growth eats up capital, because assets such as people and stock must increase to allow for that growth. Growth that depletes the business resources too quickly can kill the business. Fake it until you make it? A big no-go when it comes to growth. In the short-term, it’s easy to fake growth and popularity by buying online followers and likes on social networks like Twitter and Facebook. However you’re not fooling anyone, especially not your real customers. And in the long term, this can spell business suicide when those real customers stop buying from you. Unplanned, poorly executed growth. A well-managed, well-implemented growth strategy can lift your company from small start-up to stellar market leader. By contrast, poorly executed growth without a solid revenue model or a plan on how to scale will frustrate your customers, your staff and your investors. The result? You’ll drive them away, straight into the arms of your competitors. Growth doesn’t necessarily translate into profitability. 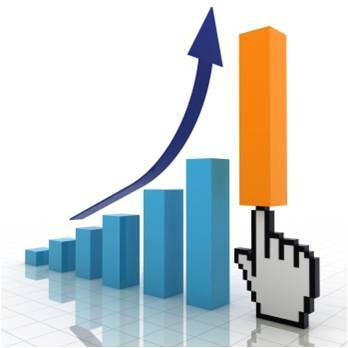 The good growth that you want is where an increase in sales translates into an increase in profits. Bad growth is where profit goes down as sales goes up. How does this happen? If it costs more to produce each extra sale, profits will drop. When managers get obsessed with making sales (and they drop their prices to drive sales volumes), it’s easy to forget about the costs of those sales. That’s when profits can dip. At these higher sales levels, it’s critical to monitor your business to make sure you’re not hitting dis-economies of scale. According to Peter Meyer, the author of the book Warp Speed Growth, it’s not what you make (sales) that counts, it’s what you keep (profits) that does. Will growth benefit our customers? Meyer’s answer is a compelling “No”. In his view, focusing on growth is focusing on yourself. Every hour your company concentrates on itself is an hour spent not concentrating on your customer. One of the common cases of a company’s single-minded focus on growth is when it uses the term ‘fastest growing’ in its marketing material as if this were helping its customers. Who says customers aren’t happy with your business the size it is now? And how can you be certain they will like the bigger version you’re striving to become? Does this mean that rapid growth is always bad? Not necessarily. The key is to make sure that when you do grow your business, it’s because you’ve thought long and hard about how, why and when. The bottom line? Don’t be afraid to take time to grow. There is indeed a bad perception that the faster we grow, the better we are, but if that growth can’t be financed the company is trapped into a cashflow problem will eventually kill it. I have seen so many entrepreuneurs falling in this trap, specially in contracting and construction where the material to be purchased is very expensive and the customers take so much time to pay for the work performed. You need to be a part of a contest for oone of the best sites on the internet. I am going to recokmend thiss site!